When Malala spoke in Sydney last month, she announced that her new book on displaced persons would be released in mid-January. It is now in bookshops and is fast selling. 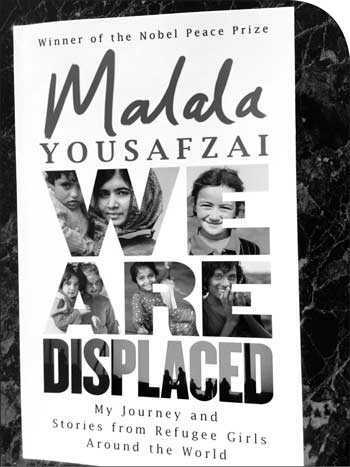 Titled ‘We are displaced’ the cover uses pictures of some of the displaced children she has met. While she writes about her journey after being displaced, she has given room for 10 other refugee girls to relate their stories. “For any refugee or any person displaced by violence, which is what most often makes people flee. It seems as if there is no safe place today. As of 2017, the United Nations counts 68.5 million people who were forcibly displaced worldwide, 25.4 million of which are considered refugees,” she writes. “The numbers are so staggering that you forget these are people forced to leave their homes. They are doctors and teachers. Lawyers, journalists, poets and priests. And children, so many children. People forget that you were an activist, a student, that you were a father named Ziauddin, a daughter named Malala. The displaced who makes up these staggering numbers are human beings with hopes for a better future,” she continues. 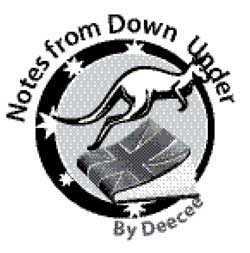 To give an idea of the contents, briefly here is the story of two displaced sisters – one luckier than the other. Zaynab and Sabreen are two sisters who moved out from Yemen – both separately – to Egypt. The elder one ended up in USA having got a visa while the younger sister was not given a visa and ended up in Italy after a dangerous boat trip. She relates how after a tedious bus ride from Cairo to Alexandria, a big group waited for the arrival of a ship with sleeping bunks and toilets instead of which they found three small fishing boats waiting to take them. “Where was the boat? We could not possibly getting on the fishing boats in front of me. They were too small. The waves were too long,” she said. But she and the others had no alternative. “We set off in tough waters, the waves crashing up and over the sides of our boat. I stayed huddled with my girlfriends and dreamed of the big boat with the bedrooms and bathrooms and three meals a day,” she recalls. When the last boat they were in ran out of fuel, they were rescued by a ship. The Italians gave them water and food and blankets. They let them use their bathroom. The ship contacted the Red Cross, which sent another ship to rescue them. The elder sister was waiting impatiently for a message from the sister which she received after many months. She had been sent to a refugee camp in Holland where she had met a guy from Yemen and got married. The sister was shocked – she expected her to come to the States and continue her studies. Elder sister Zaynab had started schooling again. An Immigrant and Refugee Youth Ambassador, she comments on her dreams: “I wanted to have a better life with all our family in Yemen. I wanted my grandmother back. I know these dreams are impossible, but I can make others come true by believing – in myself and my goals. I want to finish my schooling so I can go back to that beautiful home and bring justice with me. I want to rebuild it. I believe that there can be a happy ending for every story and I will create that happy ending.